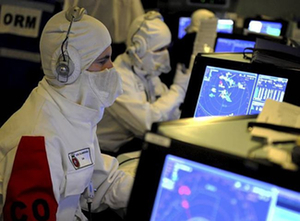 The Defence Science and Technology Laboratory (Dstl) maximises the impact of science and technology on UK defence and security – across government. We work with the best people with the best ideas – from small companies to world-class universities, large defence companies … even other nations. Together we develop battle-winning technologies, based on deep and widespread research, supporting UK military operations now and in the future. Some work is sensitive, operationally critical or international in nature. Our work covers a range of disciplines including social science, mathematics and engineering, including research, advice, consultancy, technical and systems risk management. Dstl is a trading fund of the MOD. Dstl recruits approx. 80 graduates and postgraduates each year to join its two-year graduate development programme and offers approximately 150 student placement opportunities for a range of scientific and technology disciplines and backgrounds including applied sciences, physical sciences, engineering, biological and health sciences, and research and development.